Today I am participating in Sewing for Kindergarten - an annual series hosted by Mie from Sewing Like Mad. 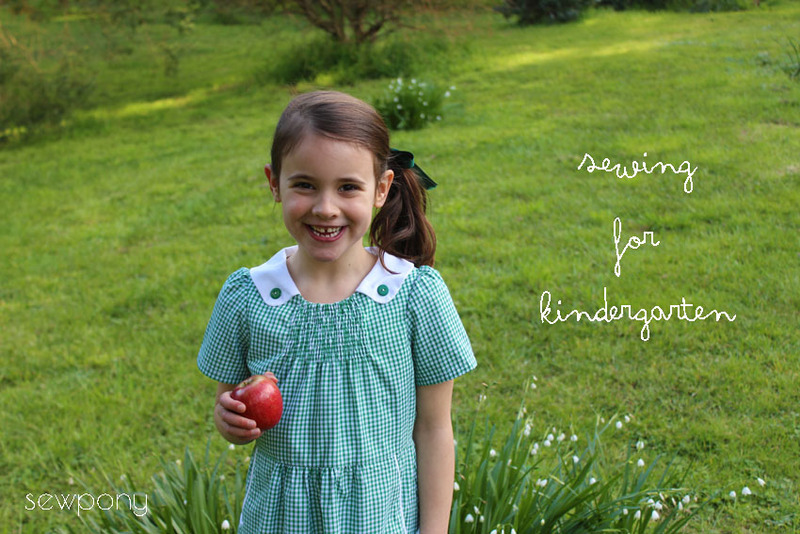 The series celebrates sewing for our new school kids. 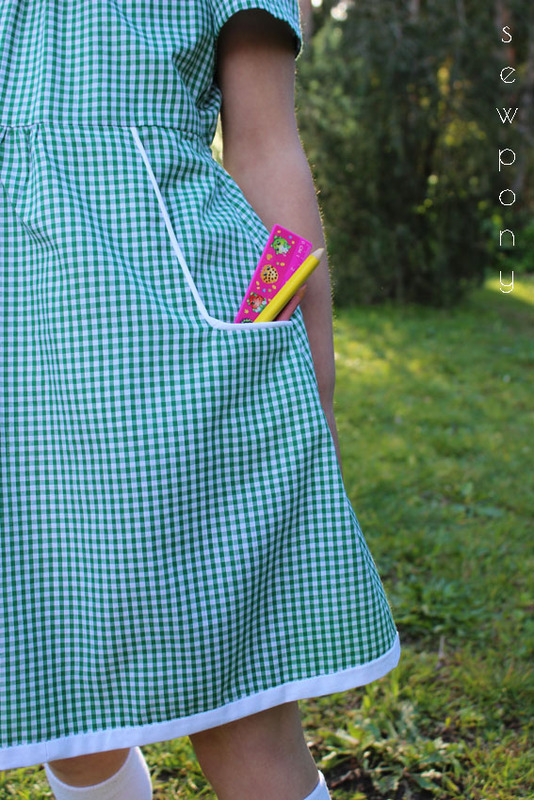 I am excited to share the school dress I made for my second school girl, Juliette. 1. Is this your first time sending a child to Kindergarten? No. Isabella is in Grade 2. If not, which number child is this? My second child. 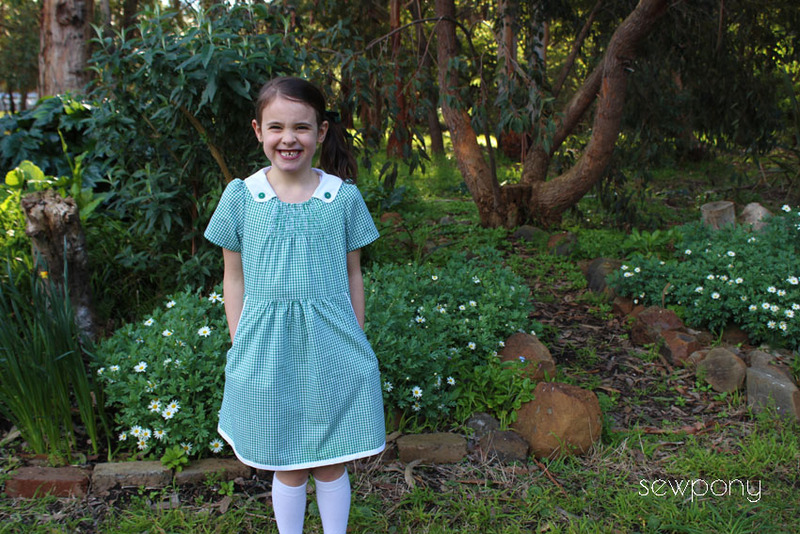 I made a school dress for SFK two years ago for Isabella. You can see it here! Did you feel like crying or celebrating? I had mixed feelings sending Juliette off on her first day. She was not looking forward to it and we did not talk a lot about it in the six week holiday over summer (we start school at the end of Jan/beginning of Feb). 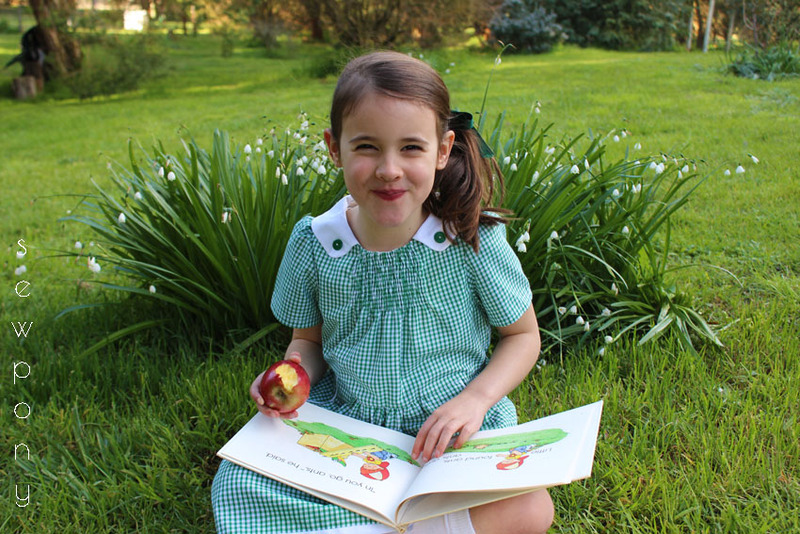 Since then though, Juliette is flourishing at school and she loves it. Juliette goes to our local public school. It is a five minute drive from our home. There are around 165 kids at the school so it is small and friendly. I am very happy that the girls go to this school. They are both very comfortable and happy! Question to your kindergartner: What have been the best and the worst part so far? I love writing the most. The worst bit is when I don't like my sandwiches. In. Australia, preschool is called kindergarten, so Juliette has already completed her two years of preschool and began school in late January of this year. We have four terms with two week holidays between terms 1-2, terms 2-3 and terms 3-4. At the end of term 4, our kids have a 5-6 week break that begins just before Christmas. This means our kids can enjoy the summer at home/ on holidays. The school that isabella and Juliette attend requires that students wear a school uniform. This is normal for Australian schools and non-uniformed schools are a rarity. 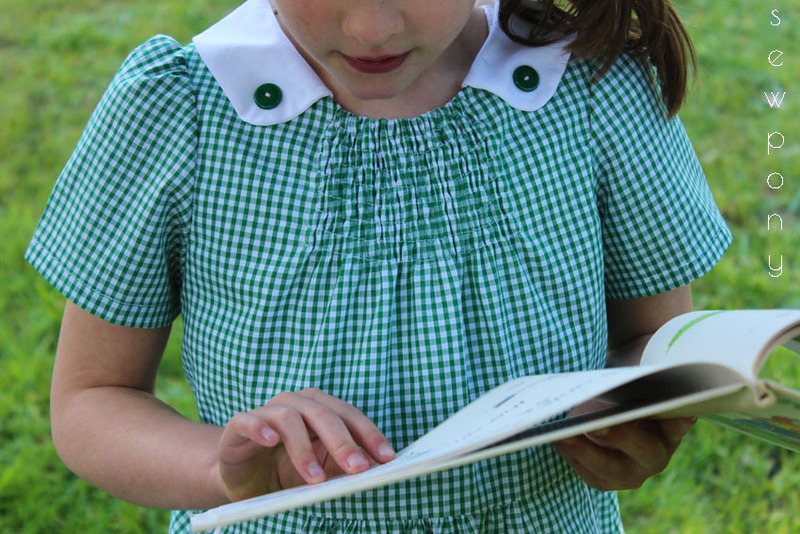 This is unfortunate for someone who loves sewing dresses for little girls, however, our uniform policy is not strict so the girls are allowed to wear homemade dresses! 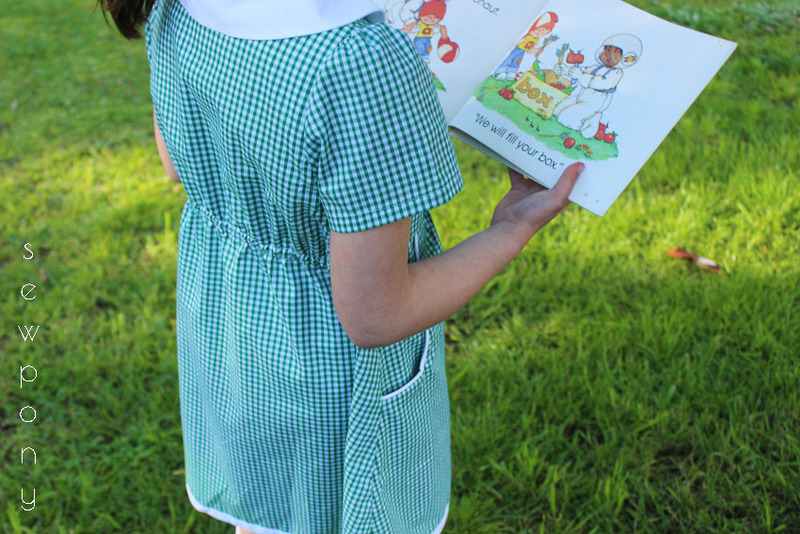 Juliette loves wearing dresses and was very excited to see a school dress evolving from my sewing room. I made her a Dear Prudence school dress. I shortened the three quarter sleeves to make it a spring/summer dress. I love how it turned out. I cut a size 6 but since Juliette has had a bit of a growth spurt, I decided to add a white trim to the hem to preserve some length. I do love the Dear Prudence design and plan on making a couple of summer dresses with the pattern when the weather gets warmer! If you feel like picking up a copy, I have made a little discount for you! Just use the code SFK20 to receive 20% off the pattern. Valid until the end of the series. Juliette loves this dress as she can put it on and off by herself, due to no zips! She wears it with a hand knitted bottle green cardigan made by her beautiful Grandma (my Mum). Mum loves knitting and the girls are the only ones at school in hand knits! You can see the same style cardigan on Isabella in her SFK outfit here. 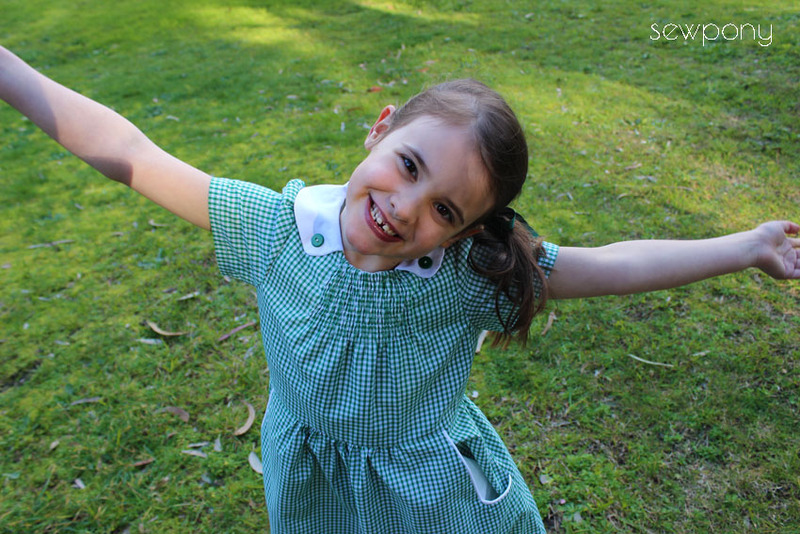 I plan on making Isabella a new school dress over the school holidays (which start this Friday) as she is outgrowing her most recent one I made her last year. I will be testing out my new pattern (in draft stage) for that one! Thanks so much Mie for having me. Make sure to check out all the other great school sewing going on this week and next over at Sewing Like Mad! I can't stop laughing at Juliette's comment about the worst being not always liking her sandwiches - haha, well that is the worst, isn't it! Too cute and we know that problem here in our house too! The dress is beautiful as always from you and like I wrote in my intro - my girl is wearing her Dear Prudence to school today too since they have a wear red, white and blue day and that fit the bill perfectly! So interesting to read all the details about your school system, Suzanne. Thanks for the insight and - of course - also for this nice dress. It looks great on Juliette! She is adorable! It's great that you can sew her school uniforms! Love the Dear Prudence pattern so much! Beautifully created dress! I'm absolutely dying over those amazing collars! What a lovely detail!